Mark your calendars! This summer we are hosting yoga retreats in Montauk. Our first yoga getaway will be June 24-June 27 at The Grace House (www.thegracelist.com), which is directly on the water. 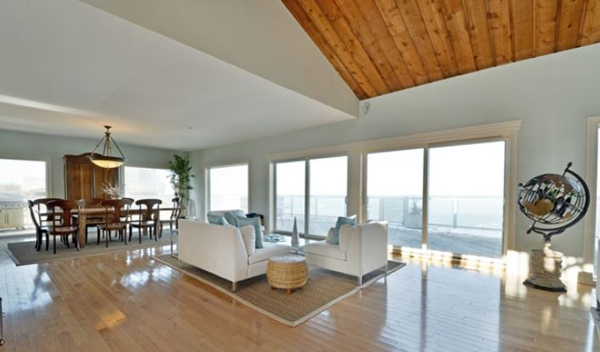 Perfect location to practice yoga on the beach, watch sunsets, or stargaze from the hot tub. Easily bike-able to Ditch Plains Beach, farmers market, Montauk Downs golf and tennis, etc. To view the trip itinerary, click here. I hope you will all be able to join us for this amazing yoga getaway. Charlie also teaches privately, as well as at various gyms and studios throughout the week. Contact Charlie for more information. My "Power Yoga on the Beach" DVD is on sale now!